Why HealthClub 101 St Albans? Healthclub 101 is now under new management and we would like you to be part of our new club, our new culture and help you get started for a fit and healthy. - New classes inc. Circuit Training and Thump Boxing. - Dedicated St Albans women’s only gym. - Newly appointed group fitness room. - Certified Hammer Strength Training centre. - Brand new personal training program with specialised trainers. - Health assessments and programs. - Memberships incl. 1,3,6 & 12 months, $10pw direct debit & $6 casual visits. By using this offer which is just $1 a day, you will have access to a supportive team that can help you with your journey towards a fitter and healthier lifestyle. We are more than just a gym that you come to and workout. Privately owned and operated our goal is to offer members a “Health Club” that they can train in comfortably in a positive and supportive atmosphere. 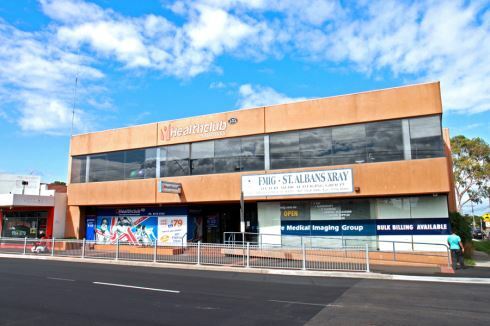 Located within walking distance of train and bus transport, Healthclub 101 St Albans gym is conveniently accessible and our staff are ready to show you the facility today! At newly refurbished Health Club 101 St Albans gym, we offer you a way to ensure you remain fit and healthy. We are committed to meeting your every need and have expanded the St Albans gym for the entire community.Our range of services a includes a 500m2 mixed St Albans gym, a new ladies gym - one of the largest in the west, state of the art up-to-date equipment, personal training services with specialised trainers and all your favorite classes with more coming soon. The mixed St Albans gym area is now double the size. Level 2 is now a dedicated St Albans mixed gym. The new range of Heavy duty Hammer Strength power racks. State of the art cardio with built in LCD screens. The new private cardio range in our St Albans ladies gym. Exciting new classes inc St Albans Zumba and Zumba kids. St Albans boxing classes will get you pumped up. Popular classes inc. circuit and more. Our community loves group fitness in St Albans. - Full access to gym and all group fitness classes.